Cached mode: When I use Export to PDF I get a message about disabling the Outlook cached mode. How can I do that? Print layout: While taking printouts of the booking summary reports, the page margins are not correct. Security warning: Every time I press Manage I get a warning message asking if I want to run CBAdmin.exe, when I press Overview if I want to run CBOverView.exe and so on. When I click Yes the application works. Trial period: I get a message that the evaluation has expired, even though I just installed Calendar Browser today! When I make a recurring reservation "prevent double bookings" does not function. Calendar types: What kind of calendars can be used with Calendar Browser? Double Booking: How can I prevent double booking in Calendar Browser? Exchange Resource Calendars or Calendar Browser: Why should I use Calendar Browser when I already have the built-in resource calendars in Exchange? Image path: Is it possible to use relative paths to images in resource descriptions? Limit: Does Calendar Browser have a limit when it comes to number of users or resources? Order: Is it possible to place the resources in a custom order? "Room three” and “room two” are in the wrong numeric order as they are listed alphabetically. OWA: Can we use Calendar Browser with OWA? Personal calendars: Can we show personal calendars in Calendar Browser? Recurring: When I make a recurring reservation "prevent double bookings" does not function. Client tool:How do I deploy the Calendar Browser Client installation in an automated fashion? Move: How do I migrate Calendar Browser to a new server? Multiple installation: How does it work? Permissions: How should the permission levels for the users of Calendar Browser be set? Is there a way to run the Overview just from the network share? When I select Overview I have to wait quite long for the report. We have 25 different conference rooms. Is this normal waiting time? Can I do something to improve performance? Can I register on my laptop and then again when I install on our server? I register Calendar Browser successfully, but then it asks for a registration again. Subscription level: We are a small organization with 15 persons who need to book resources. What type of subscription would you recommend? Activation: I get an error when I try to activate Calendar Browser for SharePoint. Activation: I get an error when I try to activate the Document Tagger sandboxed solution. New domain: how do I point E-mail Converter to a new domain? External login: Is it possible for external users to log in to SharePoint or Office 365 SharePoint via E-mail Converter? Mapping: Is it possible to place the ticket creator in the ticket “Assigned to” field automatically? Buttons: If I close Outlook and then start it again, the E-mail Converter buttons don't appear in the menu bar of Outlook. Duplicate entries: we get duplicate entries in non threading field at every thread update. Auto Responses: Can SharePoint send automatic notifications to callers when a ticket is created? Activity: is E-mail Converter only working while a user is logged on and Outlook is active? Properties: Can additional properties be manually added into the ticket? Configuration: is there a way to easily deploy the settings (SharePoint lists + Mappings etc.) from the first PC to all other PCs? Distributed team: I have seen that kalmstrom.com uses E-mail Converter. How have you set it up? E-mail threading: How do I get the e-mail threading function to work? Multiple assignments for each ticket - is that possible with E-mail Converter? Settings list: Is it possible to create a new HOSPSETTINGS list or move the list to a different location? Team Services: Will E-mail Converter work with Microsoft SharePoint Team Services? Ticket differentiation: can I convert e-mails from different folders into tickets in different SharePoint lists? Why E-mail Converter: doesn't SharePoint already support incoming e-mail? Why do I need HelpDesk OSP? How do I deploy your products to each user in an automated fashion? Subscription level: We have 8 to 10 technicians in 4 differentlocations. What type of subscription would you recommend? Do your products support support Exchange clusters? Is anything installed on the Exchange server? Is there any way around the need for Exchange Server? Does Folder HelpDesk affect the performance of the Exchange server? We utilize a Managed Exchange Server from Rackspace.com and have encountered some issues with regards to the stability and performance of Folder HelpDesk. Can we use Calendar Browser with a hosted Web Exchange? How do we migrate Folder HelpDesk from our old Exchange server to a new server? Ticket custom fields: The values entered in the custom fields are not saved. Upgrade of customized ticket form: Will an upgrade change our customized ticket layout back to your standard form? Is there a way to change the start number of the ticket IDs without creating dummy tickets? We are moving our Folder HelpDesk SQL database to another server. Which values do we have to change, so that it works again on the new server? What login is used when using a SQL-server database, Windows or SQL-server authentication? Add-in: Missing Folder HelpDesk add-in / Opening Outlook I get this message: Outlook experienced a serious error the last time the add-in Folder HelpDesk client tools was opened. Automatic e-mail conversion: The live monitoring does not work. I get an error message that says Folder HelpDesk cannot create a sub folder. Automatic e-mail conversion: Why are the e-mails taking so long to convert automatically? Buttons: there is no little icon in the Outlook toolbar which allows me to create a ticket from an e-mail. Custom UI: "Error found in Custom UI of Folder HelpDesk for Outlook Client Tools"
My changes are not saved when I edit a ticket. Microsoft Scripting Engines 5.0: Some of the computers get error messages about Scripting Engines. How can I fix this problem? New ticket: I get a copy of the e-mail when I create a ticket from it. Open tickets are not shown in Outlook. Read only tickets: Sometimes tickets are opened in Read only mode, so that I cannot edit them. Why? Security warning: Several techs have to allow the install program to run each time they access the Folder HelpDesk Outlook folder. Automatic e-mail conversion: How can I avoid that a ticket is created from each one of the staff? Automatic e-mail conversion: How can we use an Outlook rule to forward incoming e-mails to a folder monitored by Folder HelpDesk? Automatic e-mails: How can I enable/disable automatic e-mail confirmations? Automatic e-mail when a ticket is created: Can I exclude some callers from getting them? E-mail address: from what address will e-mails be sent when we answer a ticket? E-mail threading: how can we track e-mail history in Folder HelpDesk? Minutes worked ‒ there are several ways to set it in Folder HelpDesk. Can you explain the difference between the methods? Mailbox monitoring: can you explain how e-mails are converted into tickets in Folder HelpDesk. Outlook rule: Use an Outlook rule to forward incoming e-mails to a folder monitored by Folder HelpDesk. OWA: Are all the functions accessible via webmail/OWA using IE? Or Mozilla? Can the Ticket Number be edited to start with a particular number? When you create a ticket from an email sent to your mailbox, what do you do with that existing email? Views: is it possible to allow managers to see all tickets in their department? Client tool: How do I deploy your products to each user in an automated fashion? Do we need to install Folder HelpDesk in Outlook for all users? Evaluate with existing e-mails: is it possible to try Folder HelpDesk with some of our current support e-mails? Move from a public folder to a shared mailbox setup: is it just a matter of copy and paste? Multiple installation: Is it possible to have several installations of Folder HelpDesk? Multiple installation: How do I set up multiple Folder HelpDesk folders for implementing independent helpdesks for two or more departments? Uninstall: how do I un-install Folder HelpDesk? Wrong Outlook folder: I accidentally installed Folder HelpDesk in the wrong Outlook folder. How can I remove it? Migration to new file server: how do we migrate the Folder HelpDesk shared files to a new file server? Installation permissions: What permissions are needed to install and upgrade Folder HelpDesk? Permission: when I click on either the Sent or Received tabs on the ticket, I get an error stating that I don't have permissions to create that subfolder. But I have! Permission: "you don't have permission to send a message to this recipient"
Settings: I don't want the helpdesk staff to have the right to change the Folder HelpDesk Settings. We are asked to register even though we have already done it. Why do you not use a method of license control which does not require an internet connection? What is wrong with a built in license server? Is it possible to use OLAP Reporting Tool in Folder HelpDesk V13? Subscription level: We have 8 to 10 technicians. What type of subscription would you recommend? Permission error: after selecting Outlook folder for the upgrade I get a message about insufficient permission. Add e-mail to ticket: How can I manually add an e-mail to a ticket? Are the finished tickets removed from the Outlook folder when I close them? E-mail sent to the collection address is not moving to the Helpdesk box in a timely manner. How can I avoid switching between my normal inbox and my public folder? I have installed Folder HelpDesk and KBase and checked the box for KBase under the Other Settings tab, but when I click the "KBase" button in the ticket the data does not show up in KBase. Is there a maximum number of open tickets in the program? Open Ticket button: Nothing happens when I click on the "Open Ticket" button in the Outlook toolbar. Performance? How can I make Folder HelpDesk faster? Sender address for e-mails from Folder HelpDesk. How do I get the right address? Time stamps: The time changes when I edit a ticket. Attachment size: Is there a way to raise the attachment size limit on the web form? We find 200kb too small. When an update to the program is made, can you send an update notice to me? How can I be sure that you will support all upcoming service packs and versions of Microsoft Office, SharePoint and Windows? Do you have the capacity to help us with customization of your product? If so, what would be the conditions? We need a special product that we cannot find on the market. Can you build it for us? Logger File: I have been asked to send a logger file to the support team. How do I create such a file? What support hours do you normally have? Why do I need support? Is your software so bad or difficult to install? Office 365: Does Kanban Task Manager work with Outlook 365? Move: How can I migrate my Kanban Task Manager from one computer to another? App Part: How can I insert the Kanban Task Manager SharePoint Add-in App Part? Activation: I get an error when I try to activate Kanban Task Manager. Create New Task: I get an error when I try to create a new task in Kanban Task Manager. Deleting SharePoint lists: How do I delete the lists from SharePoint? Guest user site: How can a guest user with permission to create site collections add the Add-in to his site? How can I prevent users from changing the settings in the SharePoint editions of Kanban Task Manager? Installation: How do I deploy your products to each user in an automated fashion? Multiple site installations: Is there a way to run multiple instances of Kanban Task Manager within a single site? Offline registration: Is it possible to register Kanban Task Manager offline? Opening: I get an error message "localStorage is null" when I go to the Kanban Task Manager home page. Re-install: We have made a mistake when we configured Kanban Task Manager, so we want to make a new installation in the same site. How is that done? Registration period: My company has paid the subscription fee for one year, but I still see the 30 days count-down in the settings page. Sandboxed solutions: Microsoft will deprecate sandboxed solutions. How will that affect Kanban Task Manager? Security: Where is the product hosted? How do you control if the fee has been paid? Is there a link in your code, which sends data about the usage to you? Subscription level: We have a total of 15 team members in 4 different locations. What type of subscription would you recommend? Switch Task List: Is it possible to keep previously added custom columns in my tasks list when I switch from the KTM Tasks list to my own list? Database relocation: How can I relocate the KBase Access database to OneDrive so that I can point my home PC and my work PC to it? Custom fields: The values in the custom fields of the articles are not saved. Folder HelpDesk: I have installed Folder HelpDesk and KBase and checked the box for KBase under the Other Settings tab in Folder HelpDesk, but when I click the "KBase" button in the ticket the data does not show up in KBase. Can I change the way the generated index for web pages look? The index page shown here, is it the normal one if you create web pages from KBase articles? Do your products support the 64-bit versions of Office 2010, 2013 and 2016? Can your redemption library coexist with others? Should I choose a UNC-path or a mapped drive when I install your product on the server? Operation prohibited error: When I archive SharePoint list items SP Archive fails to archive, and I get an error message that says the attempted operation is prohibited because it exceeds the list view threshold enforced by the administrator. Activation: I get an error when I try to activate Study Manager. Add web part: How do we add a web part to a page in a Study Manager site collection? Subscription level: We want to use Study Manager for an online training system. There will be around 10 students using Study Manager from different locations for periods of three weeks. What type of subscription would you recommend? How can I cancel my subscription to your product? VIP status ‒ what does that mean? Can we upgrade our subscription? Activation: I get an error when I try to activate Templates Manager. App Catalog: How can I create a SharePoint Online app catalog for the User add-in? Deploy the Templates Manager Client installation: How do I deploy the Templates Manager Client installation in an automated fashion? Does TimeCard install its own forms? Where is the data kept in the Workgroup version? How do I clear the Access database of data? Can other users can connect to the database installed in my computer? Create a database on the server: How does TimeCard create a database on the server / in the cloud? Import: is there an easy way to import our client names from an SQL database to the TimeCard database tables? Information leaks: How can information leaks be avoided when the data moves from TimeCard to the server? Migrating from Access to SQL: How do I migrate the TimeCard data from an Access to an SQL database? Migrating to a new SQL server: what should I think about? Move: How do I migrate the database and the server part of TimeCard to another location? Online Database: Is there any online database that all employees can access while they are working from another location/cities? 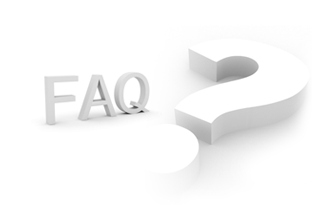 Requirement: Does TimeCard have minimum requirements for hosting the TimeCard database on a 3rd party server? Switch: How can I switch to another TimeCard database? Old users: Some former TimeCard users do not work for us anymore. Billing: How can I use the TimeCard report data for customer invoices? After reinstalling TimeCard, it does not appear! ODBC: I get an error message about ODBC Drive Manager. Tagging: When I create a new appointment in my TimeCard calendar it is already tagged with values. Why, and what happens if I change them? Change the default settings : Is it possible to change the default settings customer and task if I have created example data for the evaluation? Expenses: How does the Expenses tracking feature in TimeCard work? Hourly rate: I saw that TimeCard can record rate for each task. Do users have to enter information for this field? Hourly rate: When you apply an hour rate is it date dependent? Tag values in subject: I typed in what the meeting was about and then put the customer and task in, but then when I saved the appointment instead of the topic of the meeting showing, it has put the customer and task in the topic. Is this a bug? OWA: Can a TimeCard with Exchange integration be run on an OWA Calendar? “Report on behalf of” ‒ how does this feature work? "Error 1327, invalid drive" message when attempting to run installation for kalmstrom.com products using the MSI installer. Multiple Admin Installations: Is it possible to have multiple Admin installations in TimeCard Workgroup? User installation: How do I deploy your products to each user in an automated fashion? Move: How can I move TimeCard Single from one computer to another?. Can we add another tag in TimeCard and have four dropdowns rather than three? Can we extend more property fields to hold data such as Street No., Street Name, Suburb, Postcode, Contact Person and Sales History? I manage a consulting firm where the billable rate is not fixed by project but rather by employee. Can I assign a different rate to each employee? And further, can this employee rate be different for each client? We allocate time based on Customer and Project. When I set up these two fields in TimeCard I would like the Customer dropdown to drive the Project dropdown, so that only Projects relating to that Customer show up. Can this be done? Change reported time: Once time is posted it cannot be changed ‒ is this correct? We do not want people to be able to change their time once they post it. We also want to try to eliminate paper time records and keep all of our time reporting secure electronically. Double-bookings: What happens if I accidentally record two appointments for the same time slot ‒ how does TimeCard record that time? Access: Can we restrict access for employees to see only their time and not the time for everyone in the organization? Report: If I have an administrator's account, is it possible that I can see all employees report? Subscription level: We have 8 to 10 users. What type of subscription would you recommend? Activation: I get an error when I try to activate TimeCard for SharePoint. Subscription level: We have 10 users at 4 different locations. What type of subscription would you recommend?